Chelsea Faulkner. 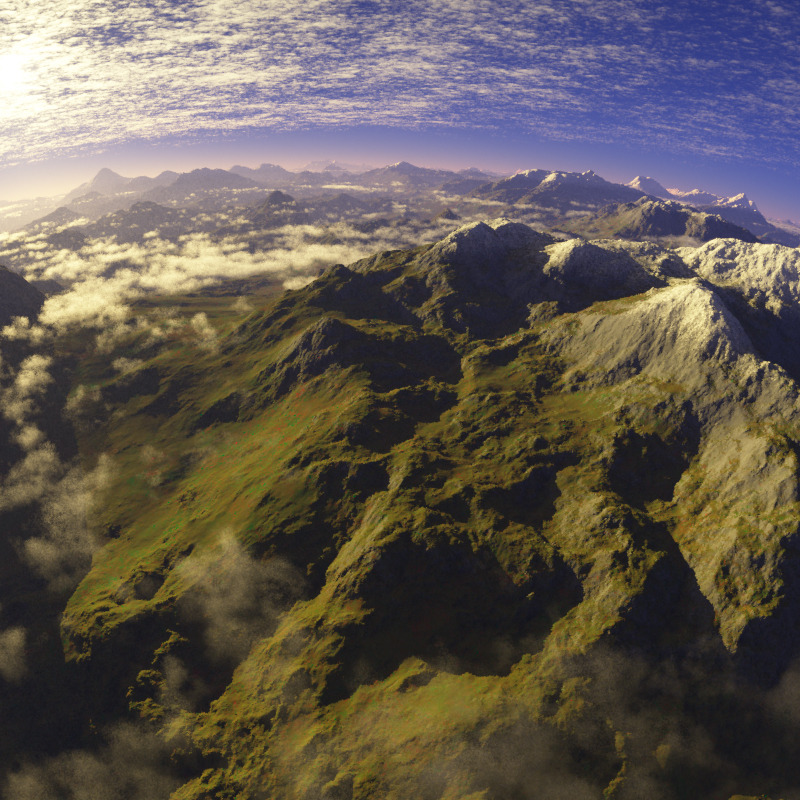 Photo courtesy of DynAccess. Chelsea Faulkner first started skiing at the age of five. 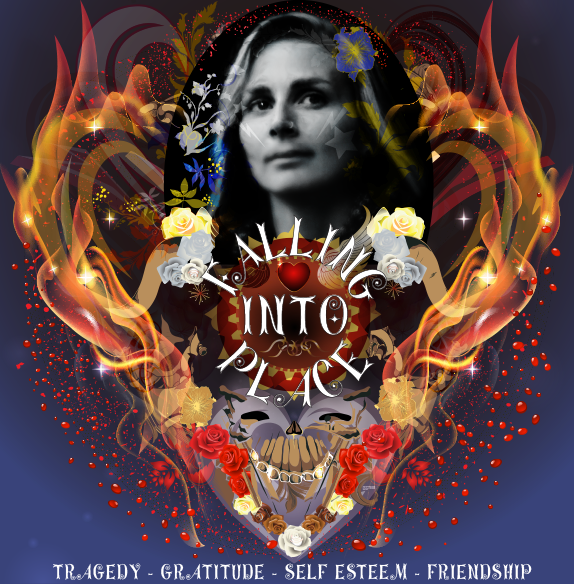 She has enjoyed the sport most of her life until she suffered a spinal cord injury with a burst fracture at the T-7 vertebra leaving her a complete paraplegic and wheelchair bound. 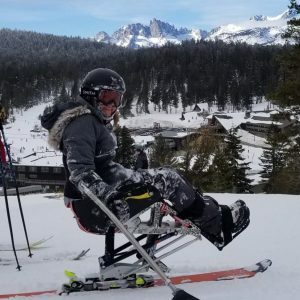 About 12 years ago Chelsea began learning to monoski. She had a frustrating first year learning but went back the following season and found a new love for the sport. Chelsea on her Tensor sit ski. Photo courtesy of DynAccess. 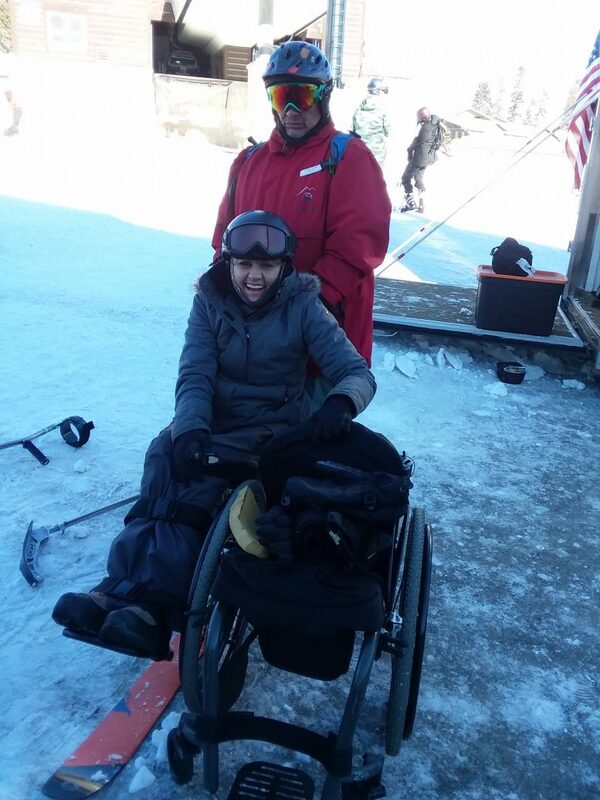 Chelsea was the recipient of a $4,000 equipment grant from GoHawkeye to purchase a DynAccess Ltd. Tensor Monoski. 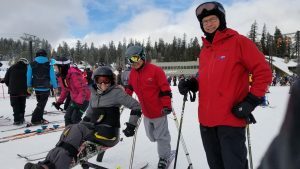 She learned to ski on the DynAccess Torque 2 which may have not been the best fit for her however the Tensor is lighter with better shocks that have three settings. It is more adjustable for different body types and weights. It also sits further back and is easier to load on a chairlift that allows the user more comfort and safety. “I was so lucky to ski with the owners and makers of DynAccess. They helped me dial in the rig and I am skiing better now than ever! They are great people and I highly recommend their equipment. Having my own equipment is helping me ski more and I am going back to Mammoth Mountain in a couple of weeks,” said Chelsea. Chelsea skiing at Mammoth Mountain. Photo courtesy of DynAccess. Chelsea is busy these days working on a school teachers credential program in California. She has taken a couple trips to Mammoth Mountain on her new DynAccess Ltd. Tensor and has plans to return soon. “Thank you again for helping me get my own monoski! I feel so honored to have been a lucky grant recipient and I am loving my new equipment! It is awesome to have new and current gear and not have to use other equipment that doesn’t fit as well. 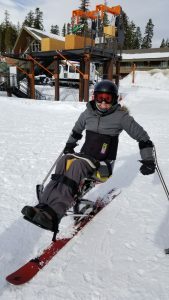 I am in the process of dialing in permanent padding that will help to get me on the snow more quickly.” We can’t wait to see Chelsea out on the slopes and hope she enjoys her new DynAccess Tensor for many years. Way to go Chelsea! 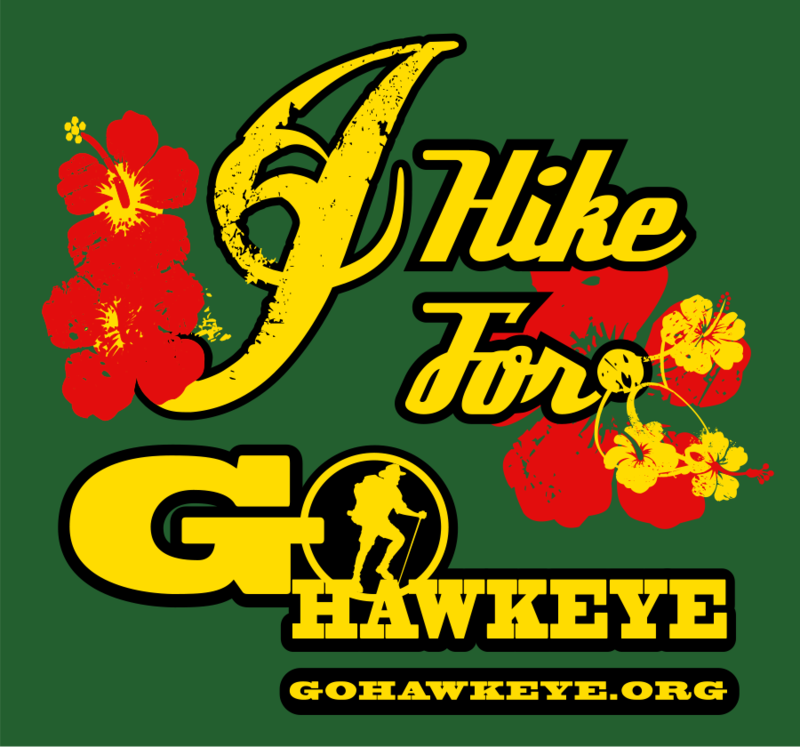 Who Do You Hike For? Where In The World Is Hawkeye?